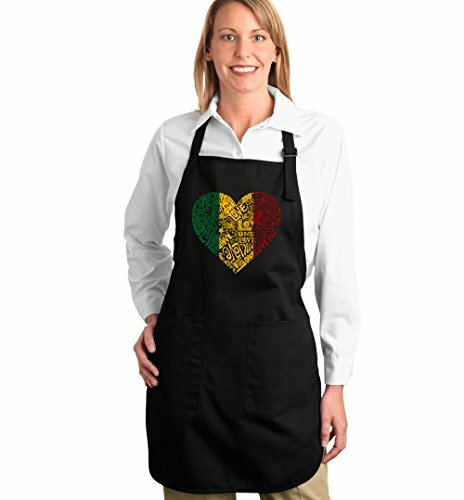 The notion of Love is a huge part of the Rastafarian Culture and Religion. 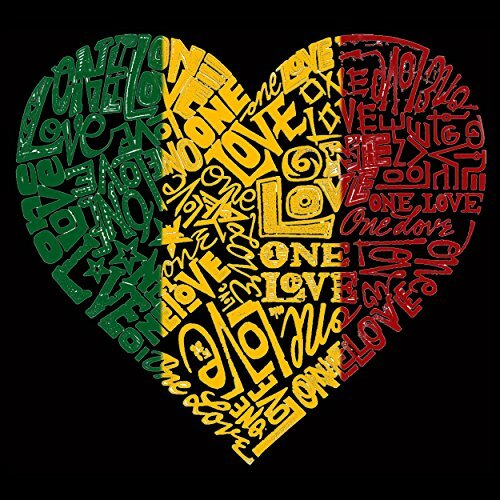 This heart is created using the words One Love. PRINTED WITH PRIDE IN THE USA- This product is environmentally friendly, printed with a child and eco-friendly ink. ALL DESIGNS ARE CREATED OUT OF WORDS- Look closer and be amazed, makes for a great gift. AUTHENTIC DESIGN- This is an original, inspired design from LA Pop Art. EASY TO CARE FOR - For easy care, machine wash with like colors and tumble low on dry. SATISFACTION GUARANTEED- Free shipping and free returns on all domestic orders. If you have any questions about this product by Los Angeles Pop Art, contact us by completing and submitting the form below. If you are looking for a specif part number, please include it with your message.